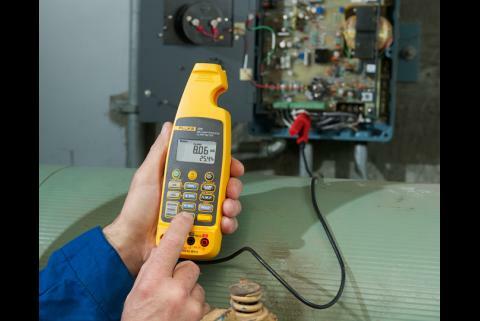 Drowned, dropped, smashed or burned, Fluke meters survive like no other test tool. The secret lies in tough design, extreme testing and user feedback that helps us prepare our meters for the worst. 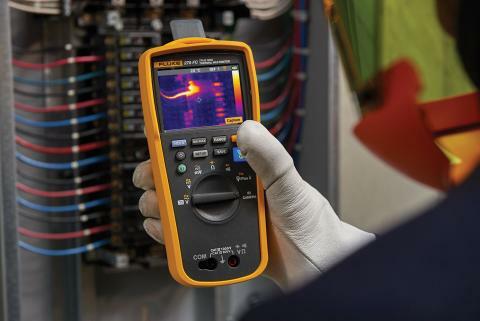 Got a Tough Fluke Tools story? Send it to Fluke. If your story is published we'll send you a free Fluke LVD2 Volt Light. How many times have you said, "Man, I feel like I've been hit by a bus." Well, there's one Fluke digital multimeter in Chicago that knows just how you feel. Albert Abaravicius was on duty on a Friday night in February, working for the Chicago Transit Authority. Abaravicius was down in the maintenance pit with a Fluke 75 III trying to find out why a transit bus's horn was not working. The Fluke 75 discovered a bad ground at the horn. Abaravicius repaired the problem, then started up the bus and moved it back into its parking slip for the night. "When I walked back from the bay, I saw the meter lying by the side of the pit," he said. "I had run the Fluke meter over with the bus. I picked it up thinking it was garbage. But I turned it on - and it worked!" The bus weighs a total of 25,000 pounds, Abaravicius says, and there was not a scratch on the meter. "What is this instrument made of?" he asked, telling Fluke the story. "I can really say it is indestructible." Ivar Zabaleta is an electronics technician who does field maintenance for companies in Bolivia. Recently, a mining company called Ivar to troubleshoot a problem. Ivar spent two days repairing equipment 450 feet below surface level, his DMM hanging from his belt. When he finished, Ivar rode back up to the surface in the mine's aging elevator. Reaching ground level he bumped the side of the elevator as he walked out. Looking down in horror, he saw his bright yellow meter disappear through the narrow space between the elevator and the wall of the mine shaft. He followed its decent until it disappeared into the darkness. A technician from the mining company shook his head and told Ivar that the shaft was 600 feet deep, with about 10 feet of water at the bottom. "With sorrow, I thought my Fluke was lost," recalls Ivar. A short time later, someone found Ivar's soaked meter at the bottom of the pit, packaged it up and sent it to him. 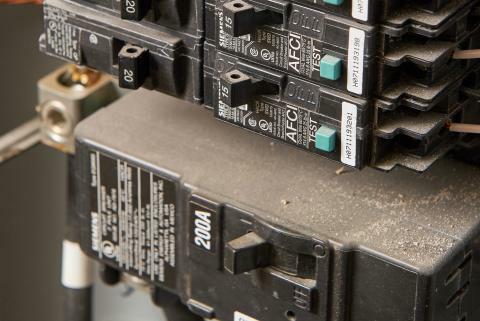 "When I received the multimeter it was wet and dirty," he said. "I disassembled it to clean and remove all of the humidity, then switched it on and it worked perfectly! Only one of the test leads was damaged." By the time Harlan O'Hara arrived home, firefighters were cutting a hole in the roof of his house to create an exit route for the fire. A candle left burning unattended had turned into a conflagration that burned part of his one-story home in San Jose, Calif., and left much of the rest of it damaged. O'Hara, an electronics engineer for Intel, and his family lost most of their belongings in that part of the house. So O'Hara held out little hope for his Fluke digital multimeter, which had been laying on a chest of drawers outside the bedroom where the fire had started. The casing had melted into a misshapen puddle and the face of the display screen had wrinkled and turned opaque. "It was an original (model) 87," O'Hara recalled. "It was probably already 10 or 12 years old. I just flicked it on - and it fired up. The backlight came on." O'Hara couldn't see the readings until he chipped away the damaged screen facing. "Once that was off, you could see the numbers," he said. "I couldn't believe it." 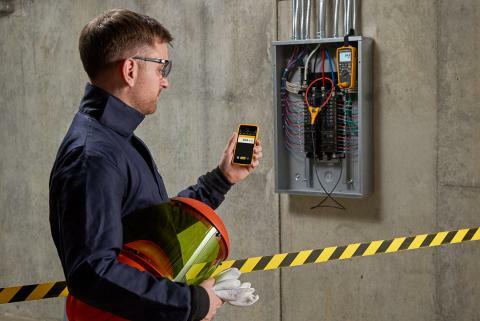 When an electrician at Kawasaki's manufacturing plant in Lincoln, Nebraska, borrowed his dad's ScopeMeter® 199 to use in a onsite training class, he had no idea what lay ahead. The 199 and its carrying case were stolen from his locked car before he could get the meter back home. "Apparently the bad guys threw the unit from their car when they were being chased by the police," says Fluke rep Rick McCoy, who conducted the training. Alarmed police officers didn't know what was in the black case that had been tossed from the fleeing car. When the fire department x-rayed it, they determined the "black case" was full of wires and some type of electrical-looking equipment. "The fire department decided to blow the case open with an explodable dart and doused the contents with water just to be on the safe side," McCoy said. "After they blew the case apart, they cut all the test leads just to be absolutely sure the scope wouldn't blow up." By the time authorities were sure the water-logged ScopeMeter posed no danger, they had destroyed the electrician's 80T-IR, his ac/dc current clamp, the 199's hard carrying case and all of his other ScopeMeter accessories. Amazingly, however, the projectile fired at the case was deflected on its way through and missed the 199 itself. Kawasaki electricians took the 199 back to the shop, dried it off, attached a set of borrowed leads, and pressed the power button to find that it was fine to test another day.